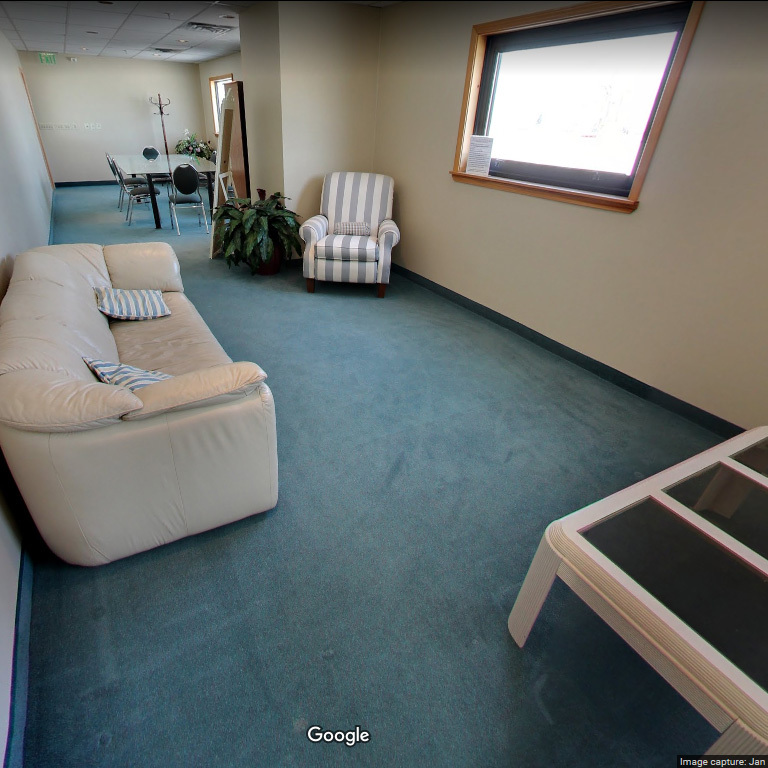 Take a walk-through of our ENTIRE location. Events requiring room for over 250 guests will be held in our spacious full hall. Arnaldo’s Banquet Center Full Hall offers the lovely Main Lobby entrance, updated restrooms and intimate Pergola. High ceilings complete with a twinkle lit dome modeled after New York’s Grand Central Terminal make this exquisite ballroom unique. You will find additional custom lighting throughout including a dramatic twinkle lit crescent ceiling, programmable colored lighting, linear metal work sconces, a lit color wheel water wall, lit medallions and more. This spacious room houses two large designer marble and granite dance floors, an elevated head table, a mirrored stage and well appointed furnishings. 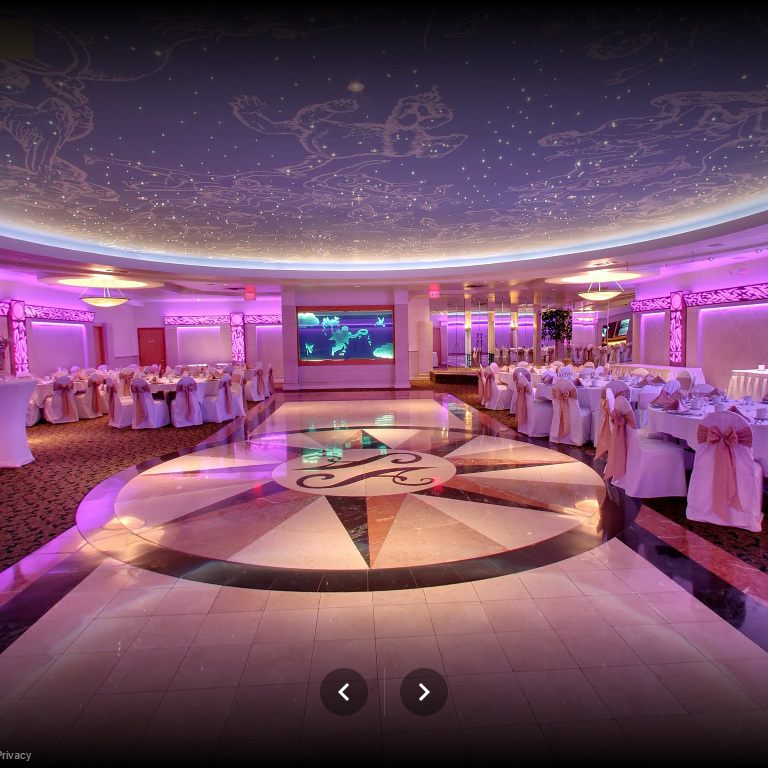 This grand ballroom is the perfect place to enjoy an elegant award winning meal and dance the night away. Arnaldo’s Banquet Center Ballroom One offers a private entrance, restrooms and bar. High ceilings complete with a twinkle lit dome modeled after New York’s Grand Central Terminal make this exquisite ballroom unique. You will find additional custom lighting throughout including programmable colored lighting, linear metal work sconces, a lit color wheel water wall and more. This spacious room houses a large designer marble and granite dance floor, an elevated head table, a mirrored stage and well appointed furnishings. Enjoy the ambiance while dining on award winning cuisine. The elaborate private bar in Ballroom One features an iridescent glass tile wall, two flat panel screens on each side of a large six panel screen, an onyx lit bar, inlaid wood walls and tumbled marble floors. It’s the perfect place to show case a personalized video and enjoy a refreshing cocktail from our extensive bar packages. Arnaldo’s Banquet Center Ballroom Two offers a private entrance, restrooms and bar. The high ceilings are accentuated by a dramatic twinkle lit crescent. You will find additional custom lighting throughout including programmable colored lighting, linear metal work sconces, back lit wall medallions and more. This room houses a designer marble and granite dance floor, programmable lit bar and well appointed furnishings. Enjoy award winning cuisine with friends and family in this inviting space. The elaborate bar features an iridescent glass tile wall, two flat panel screens on each side of a large six panel screen, an onyx lit bar, inlaid wood walls and tumbled marble floors. 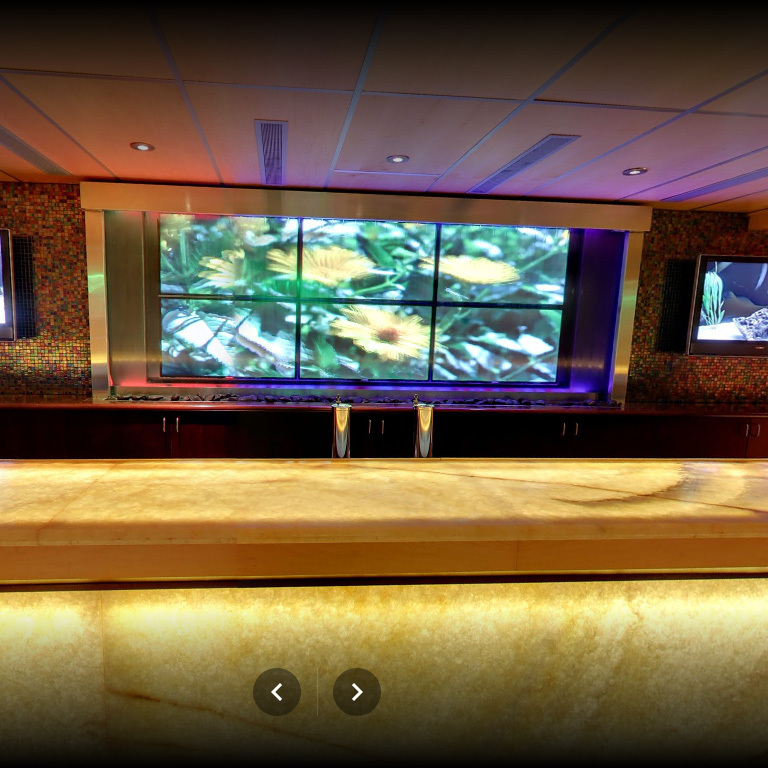 It’s the perfect place to show case a personalized video and enjoy a refreshing cocktail from our extensive bar packages. 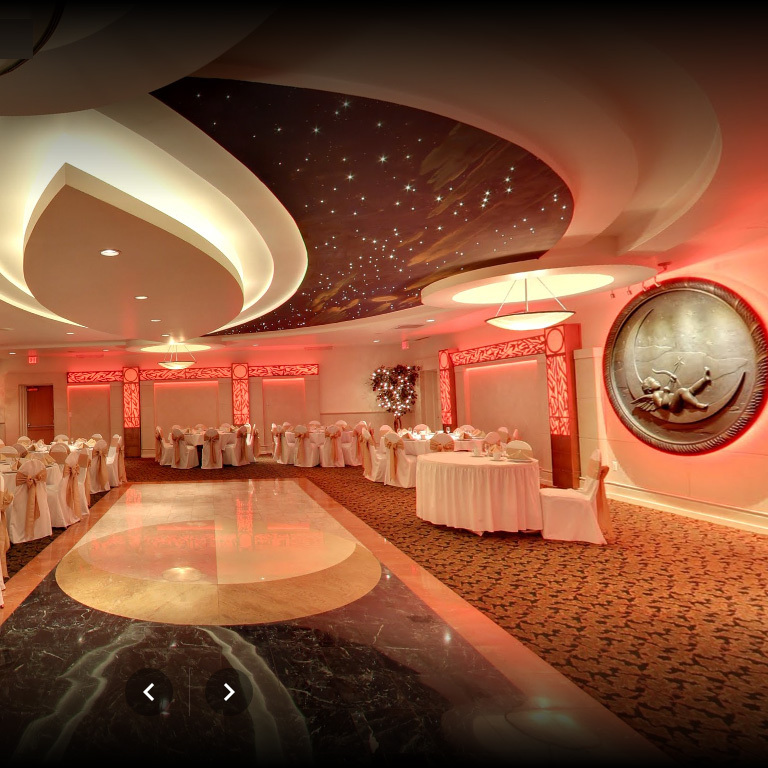 Upon entering Arnaldo’s Banquet Center, you will be greeted by a two story arched ceiling and a grand brass staircase. Designer lighting, a discreet stone fountain, etched glass, custom metal work and atrium windows in the spacious Main Lobby combine old world charm with modern amenities. 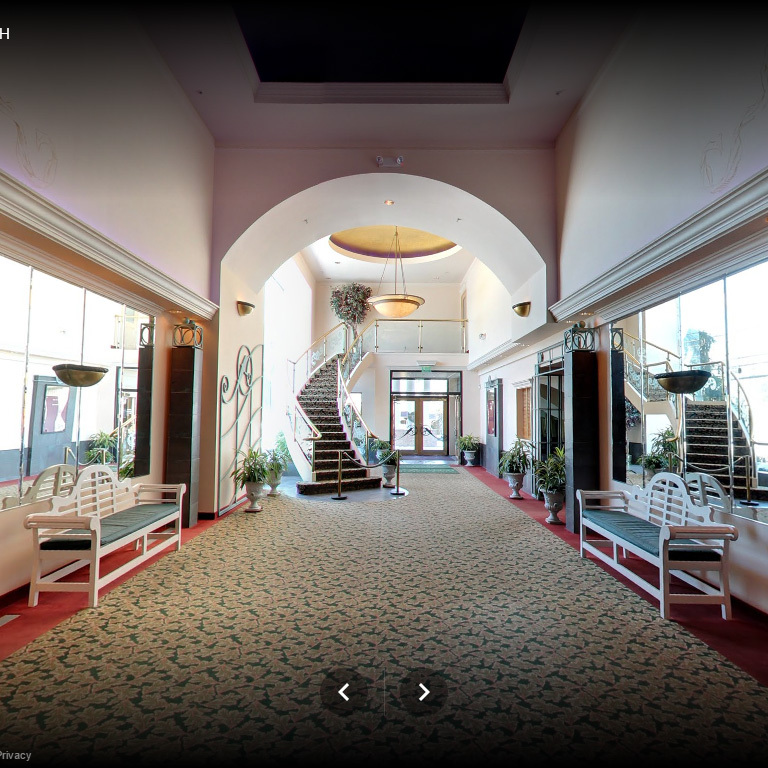 Arnaldo’s Banquet Center welcomes you to sit a spell while you soak in the surroundings. The spacious second floor Bridal Suite at Arnaldo’s Banquet Center offers wonderful natural light, large mirrors, comfortable seating, a private restroom and a dressing table large enough for a bride and her attendants. This inviting space with custom stamped concrete, roomy benches and beautiful foliage is surrounded by a twinkle lit evergreen privacy hedge for an intimate setting. 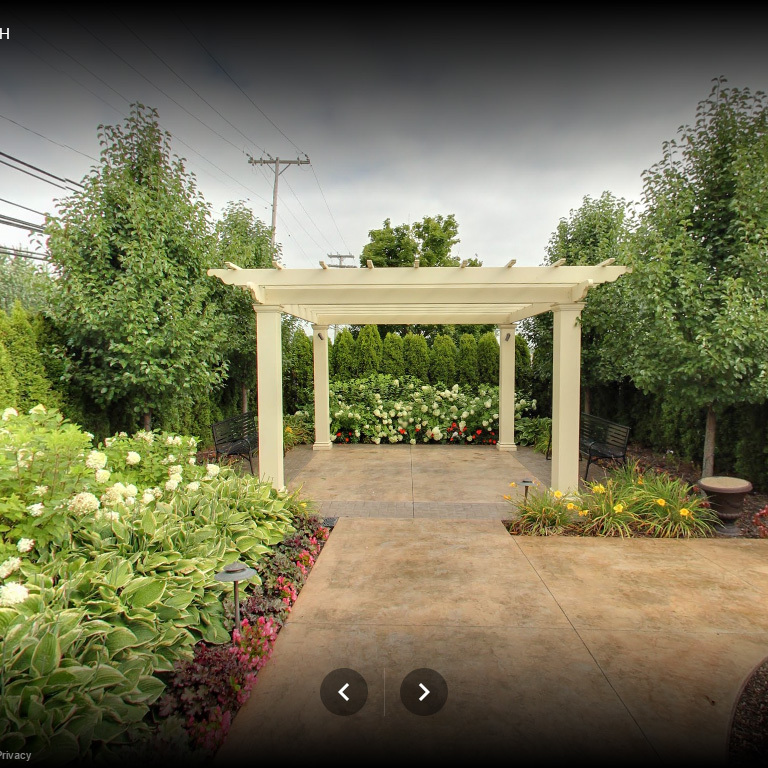 Fragrant hydrangeas, lush hostas, delicate coral bells and ever changing pear trees create a peaceful outdoor oasis at Arnaldo’s Banquet Center.